Happy Near Year! Have you and your pet made your New Year’s resolutions? Here’s one of my recommendations for a resolution that will optimize the quality of life of your canine or feline companion in the new year. I commonly see this scenario in my veterinary practice: people choose pets who resemble themselves, physically. Consequently, this manifests in many pets’ Body Condition Score (BCS) and level of activity correlating to those of their owner. The PPET (People Pets Exercising Together) Study, which was a partnership between Northwestern Memorial Hospital and Hill’s Pet Nutrition, showed that people who regularly exercised with their dog were better able to stick with their workout plan than dog-less participants. A celebrated example of the PPET Study’s findings is My Big Fat Greek Wedding actress, Nia Vardalos, whose dog provided motivation to help her get fit. 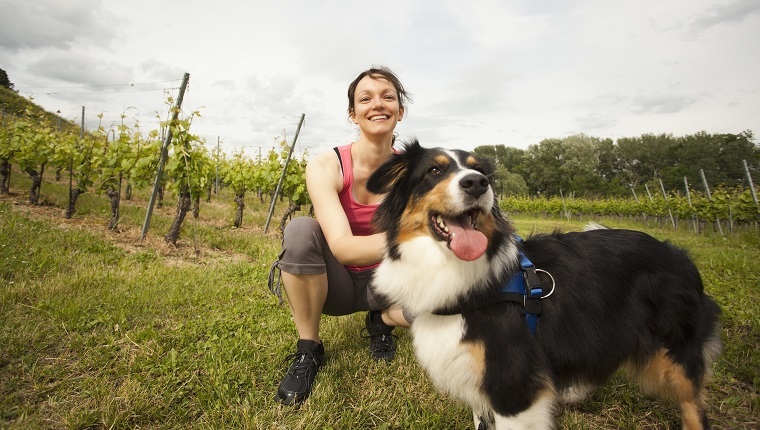 Set attainable and sustainable activity goals for yourself and your pet. Commit to doing physical activity on a daily basis. Furthermore, if you reached a plateau or feel stagnant with your current fitness plan, break through by doing something fresh. Take your dog for a longer walk around your neighborhood. Choose a more challenging hiking trail. Also, don’t be afraid to get your feet–or paws–wet and go for a swim. Pet exercise routines are not exclusive to dogs. If you have a corpulent kitty, create an indoor activity program by using a laser pointer or feather toy to intrigue your cat into burning more calories. Also, elevate the food bowl to a height that requires jumping or climbing to reach a meal. Divide your cat’s regular feeding into many individual portions, then hide the pieces around the house or toss them to a distance that motivates movement. 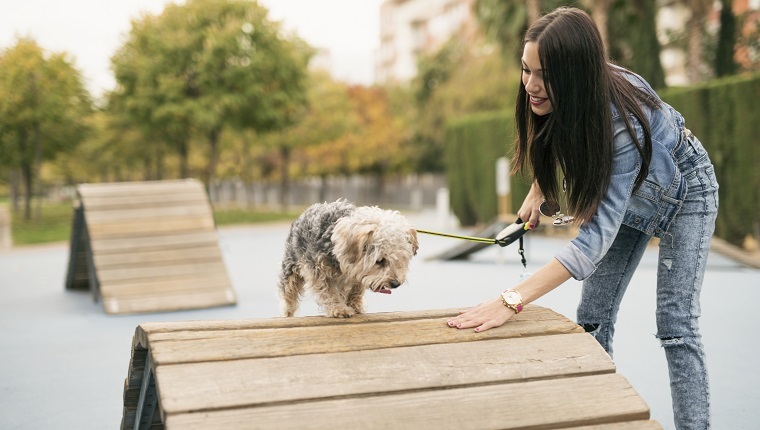 Before you start on an exercise program with your cat or dog, arrange for a veterinary exam to ensure your pet is healthy enough for physical activity. Do you have any healthy New Year’s resolutions for you and your pet? Then let me know what they are in the comments below!